"What kind of music can heal? Singing is the most powerful, for singing is living. It is Prana. The voice is life itself." - Sufi Inayat Khan. 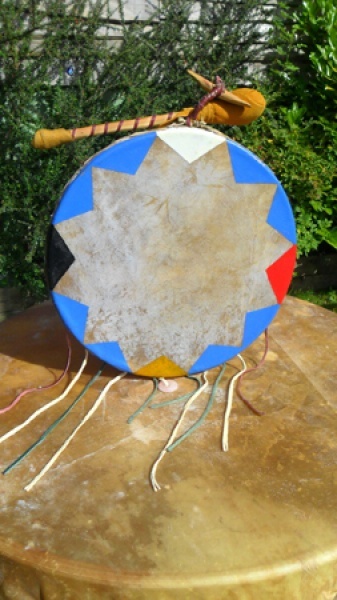 Double sided - healing drum.